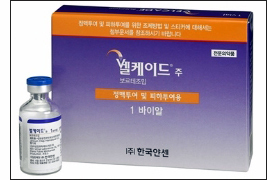 Boryung Pharm will enter competition of Velcade(bortezomib, Janssen Korea) generics, a blockbuster multiple myeloma treatment. Indications of Velkin Inj are multiple myeloma and mantle cell lymphoma, which is attempted to be treated more than once. 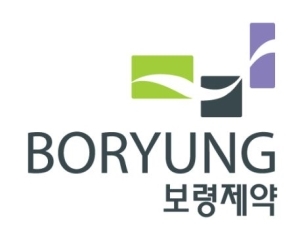 Boryung Pharm has become a third company to acquire a license to sell Velcade generics, followed by Chong Kun Dang’s Tezobel(approved on February) and Samyang Biopharmaceuticals’ Protezomib(approved on September). Thus, Janssen must face the market competition against its generic which will be launched after the patent expiration on the coming December. Velcade, which was approved in Korea in 2005, was expired in reexamination on March 2012, but had a low chance to be exposed to competition due to its difficult in development. However, it seems Samyang and Boryung, after the first generic approval of Chong Kun Dang, have challenged to the market. Copyright ⓒ2013~2016 PharmaLink.Kr ALL RIGHTS RESERVED.